Our experience means that we understand what actually works for solar in the field and what doesn’t. In fact, our team has been a part of designing solar-powered systems and products for every kind of lighting and signalling application, and in every possible environment. This is why we strive for simplicity with solar lights that are self-contained, adaptive and designed differently from other solar lighting solutions. Detail is everything when it comes to designing and building high performance solar lights. Every part of our lights from the LED light to the solar module is carefully sourced and engineered to ensure the best reliability and performance. Traditional solar lights need to be designed as a system based on latitude and an assumption on worst case weather and seasonal lighting conditions to expect. Based on this, the size of solar modules and batteries are determined for a particular project. Generally, the more challenging the conditions, the bigger the system. These lights then need to be assembled on site. With First Light, the lights are delivered ready to install with the only step needed being connecting the battery. Nothing is easier to install. Distributed solar lighting is designed and built based on a number of assumptions of the particular project and site location. However, weather and local conditions can easily fall outside of these worst case assumptions resulting in light outages. Shading due to trees and buildings are common and can compromise the best modelling. Any changes due to growing trees or new buildings, along with non-ideal solar module orientation during installation can all easily lead to situations that the best modelling cannot allow for. Our lights are designed to adapt automatically and predictively to the conditions around them so that they can deliver the greatest amount of light while also providing unmatched reliability. Whether there is sun, cloud, rain, snow, or whether it is winter, spring, summer or fall, our lights are constantly learning to ensure performance is as it should be. You can also program when the lights are on, how bright they are at different times and if you want the light to turn on based on the built in motion sensor being triggered. Our lights are designed to look like typical wired lights. Without the added weight of bigger solar panels and batteries, you can also use common poles without the added cost and complexity of a custom built pole and foundation. We know that technology is constantly changing and there is always room for improvement. 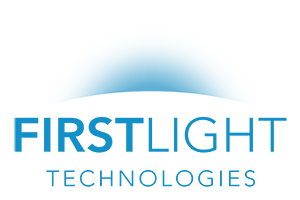 That’s why First Light’s product team has a number of ongoing testing programs to check the long term reliability and performance of different components and our lights overall. We test for different climates and we’re always looking for ways to improve the efficiency inside our lights for even better reliability. With over 90 years of experience in all types of solar lighting, we know that solar is only a viable option for outdoor lighting with solutions that pay the highest attention to the details. That’s why every part, system and process is evaluated and tested to ensure reliable performance. Through this testing, customer follow-up and incorporating the latest technology, we are able to provide the best solution for outdoor pedestrian lighting.